Wednesday January 30, 2019 - Detectives from the Special Crimes Unit have recovered the vehicle of a woman who was killed by her husband on Saturday in Garden Estate, Nairobi. Mary Wambui Kimangara was killed by her husband, Joseph Kori Karuwe, who was together with his clandestine lover identified as Judy Wangui Mungai. Wambui’s Mercedes Benz is being held at Ngewa police post in Kwamaiko village Githunguri sub-county, Kiambu. 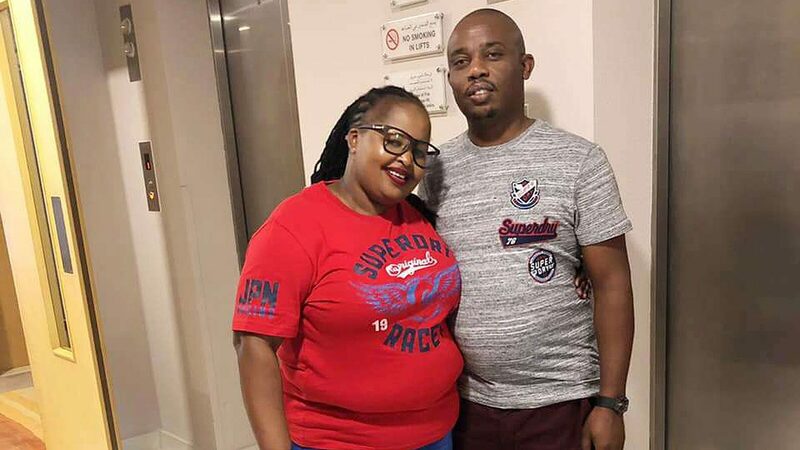 According to police, Wambui left home in the company of Wangui, who has been dating her husband Joseph Kori Karuwe behind her back on Saturday and she never returned. The two women, word has it, left the deceased’s Garden Estate home for Thika Road Mall and later for Homeland Inn where they had lunch with two other unidentified men. They later left for Wangui’s home at Fourways Junction. On arriving home, Kori was already in the house. It is then that an argument ensued. Police believe that there was a fight that left the mother of two with a head injury and marks on her hands, indicating a struggle before she died. The suspects who appeared in court on Tuesday are said to have wrapped her body in bed sheets and in a sack before dumping it in a dam near the Courtesy Beach Hotel along Thika Road.